I have been having some fun working on past card kits and other projects. Some of these are projects from gatherings and others are me just finishing up paper packs. 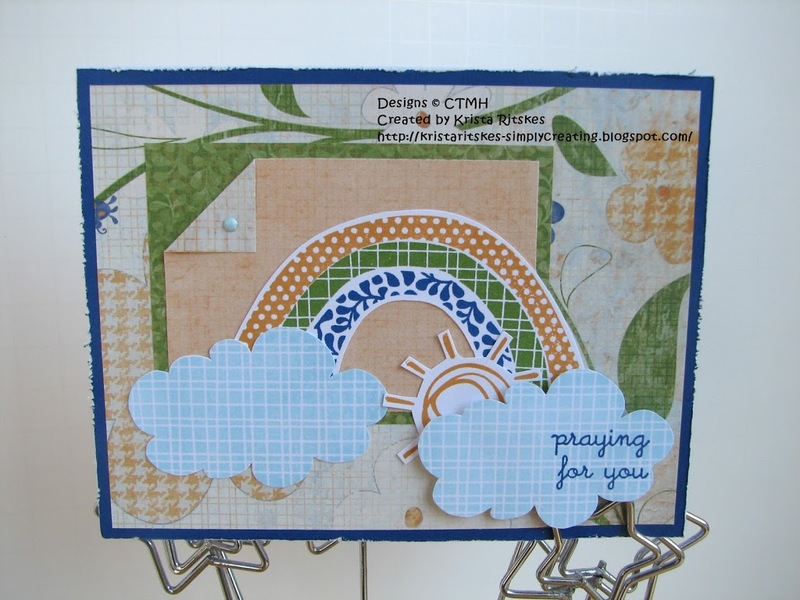 These first cards were made with the Splendor paper kit, Over the Rainbow and TLC stamp sets, and a Heavenly Blue brad. The images were stamped in Goldrush, Moonstruck, Topiary and Heavenly Blue. I love that this style card. Fun and light and yet I’ve used two of them for sympathy cards. Did you notice that on those two cards the sun is hiding behind the clouds more? I didn’t take it away entirely. It’s my way of telling the people to whom I would send the cards that the sunshine is still there, even though it may not feel that way at the moment. Have you ever done that? Put something on your card that has an extra meaning? What did you do? I’d love to hear about it!